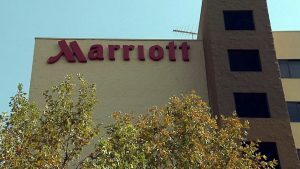 BETHESDA, MD (NBC News) – The personal information of up to 500 million Marriot hotel chain customers has been exposed in a massive data breach. Marriot acknowledged Friday its Starwood guest reservation database was hacked. For approximately 327 million of the guests affected, the information at risk includes some combination of their name, address, phone number, email and passport number. For some, credit card numbers and expiration dates were also exposed. The company has created a website and call center for concerned customers and is sending emails to those affected and offering free enrollment into an internet monitoring service. The FBI and Securities and Exchange Commission are among the agencies investigating the breach.